Cardigan Minor Ball is set to begin the 2019 season. We will be having 2 registration dates. Wednesday April 17 from 6:00 PM to 8:00 PM Saturday April 20 from 9:00 AM to 12:00 PM. Registration will be held at the Cardigan Village Office. Registration forms will be available on site but to speed up the process, feel free to print and complete the forms ahead of time. Cash will be accepted on site during Registration. Cheques can be made payable to "Cardigan Minor Ball Association". If you are a new coach and are in need of your initiation certification the session cannot be much closer to you and our Association will pay for this course. All you need to do is register and volunteer to coach this season. 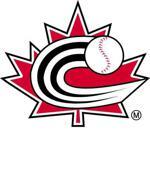 You can register at http://nccp.baseball.ca or by contacting Randy Byrne at Baseball PEI. ALSO any women/girls can take the NCCP clinics for free in 2019. There needs to be a minimum of 5 people registered for the session to happen. Deadline to get at least 5 people will be Tuesday, April 23. The 2019 Baseball season will soon be upon us and we are now actively searching for volunteer coaches. Baseball continues to grow in Eastern PEI and it is exciting to be a part of this journey. If you have an interest in being a part of our volunteer coaching team please email Lisa MacKenzie (lisamack74@hotmal.com) or Kris O'Brien (cardiganbaseball@gmail.com). We also require all coaches to have a current Criminal Record Check completed. If you have any questions do not hesitate to ask. There will be an Umpire Clinic in Cardigan Saturday May 25th, 2018 from 9:00 am to 4:00 pm. The Indoor portion will be held in the basement of All Saints Parish. The outdoor portion will be held across the road at the Baseball Complex. This is for Level 1 and Level 2 Umpires. Just a reminder that you can follow Cardigan Minor Ball on Facebook and Twitter. Click on the icons to the right to follow us. These social media outlets have been created to share positive experiences and information here at the Cardigan Baseball Association. Please share Photos, Game Results (Wins and Losses), and any other positive experiences you and your child have playing the great game of baseball here in Cardigan. This is not the place to post anything negative. Any negative comments will be removed. Should anyone have any concerns please contact the coaches directly or reach out the the Board of Directors. Eastern PEI Baseball Region now accepting applications for AAA Coaches for the 2019 Season. The “Eastern PEI Baseball Region” is now accepting applications for the Head Coach position of the AAA Mosquito (11U), AAA Pee Wee (13U) and AAA Bantam (15U) baseball teams for the 2019 season. The Eastern Baseball Region consists of the Stratford, Northside, Cardigan, and Souris Baseball Associations. Practices and games are required to be played across the region based on the ratio of players that make the final roster. 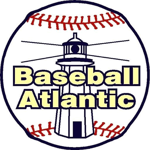 Please submit your application/email for the Head Coach Position to easternpeibaseball@gmail.com. Please indicate which team you are interested in coaching as well. The Assistant Coaches will be selected after the Head Coach is chosen. If you would also be interested in an Assistant Coach position, please indicate that on your application. Please indicate any relevant experience on your application/email as to why you would be the right choice for the coaching position. The successful applicants will also be required to obtain Certification through the National Coaching Certification Program that meets the minimum requirements for the applicable AAA age level. Certification must be completed prior to the team taking part in any Provincial Elimination and/or Provincial Championship tournaments. More information on the NCCP Coaching certification can be found at https://nccp.baseball.ca/. Application/email submission closes at midnight on April 1st, 2019. All applicants that are short listed will be required to participate in a face to face interview with representatives from the Eastern Baseball Region prior to selection. Our goal is to have the Head Coaches selected by April 10th, 2019. ID Camps and on field tryouts will begin as soon as coaches are selected and the fields/facilities become available. The Eastern Baseball Region committee reserves the right to repost any or all position(s) again should no suitable coaches be found. If you require further information please email easternpeibaseball@gmail.com or contact a representative of your local baseball association.